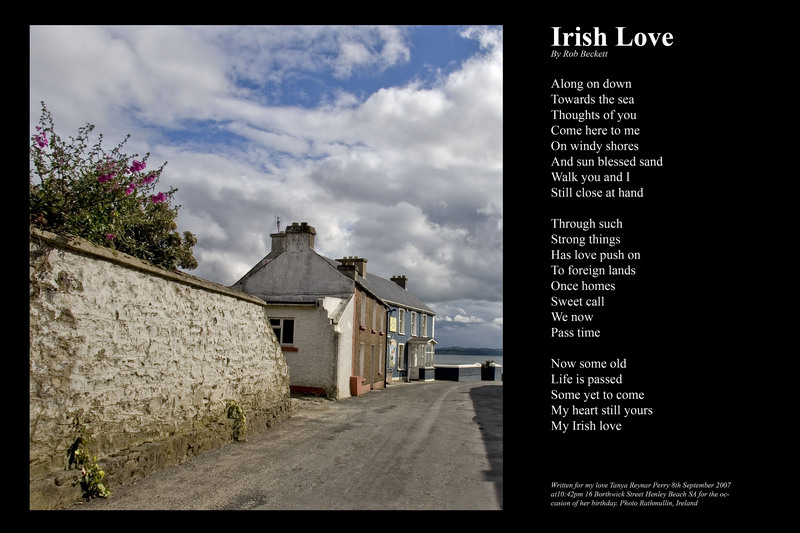 The image was taken in Rathmullin, Ireland in 2007 during a visit, but the poem was written by me after returning home and goes to the relationship between my wife and I over the past 10 years. She is a real Irish woman with red hair and a loud feisty nature and she inspires my daily. She misses her home and I see why, it has a strong bond and draws her back.